A9 - New tour announced | VKH Press – J-Rock & Visual Kei Coverage Worldwide! A9 just announced an upcoming tour! After their 12th anniversary live "NO NAME" at Shinkiba STUDIO COAST yesterday, the band updated their web site and social media with news of a winter tour, starting off with "WHITE Christmas Live With A9 CHANNEL" at Differ Ariake Arena on December 24th. Following this live, the band, in keeping with their annual WHITE and BLACK PERIOD theme, will embark on a 6-date BLACK PERIOD tour throughout January 2017. Presale tickets for the Christmas Eve live are already available through their fan club, NUMBER SIX. Check out the tour details below! More information to come. 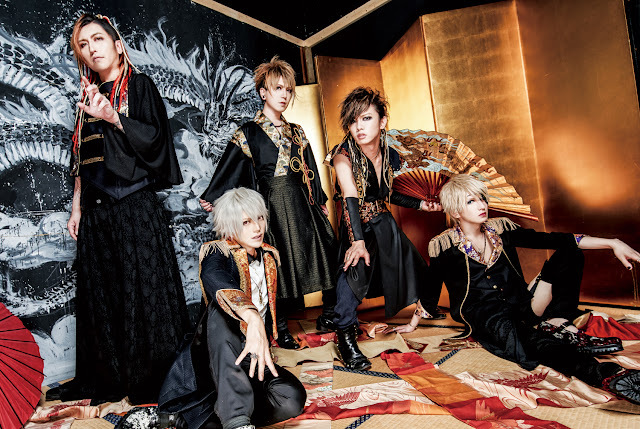 A9's latest release, Grace, was released on August 17th.